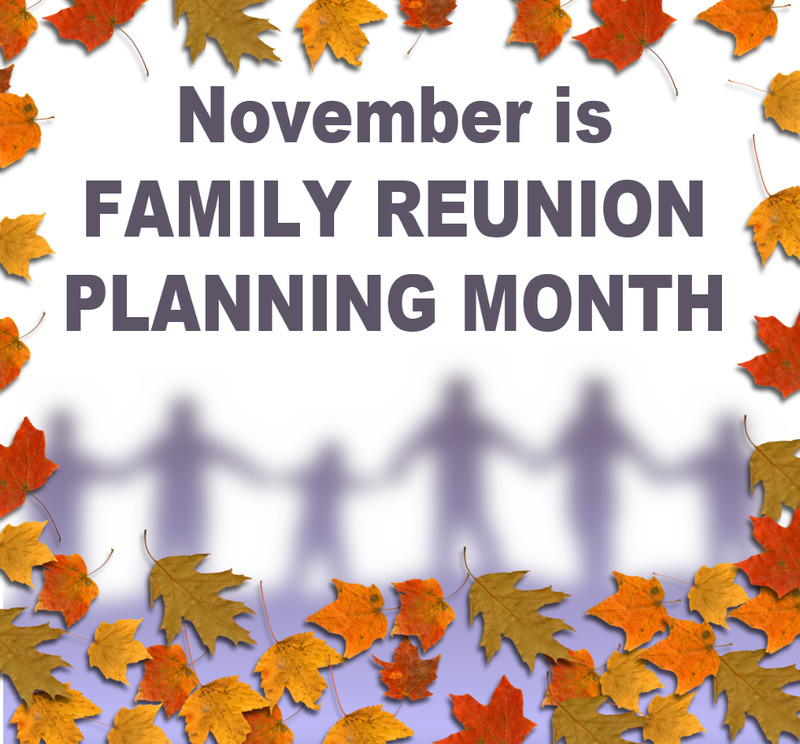 Over the years many readers have asked me when is the best time to start planning a reunion? Some event planners say early in the year of the event. We say start planning in the month of November before the event. Why? Most family members will be visiting out of town and have some extra days off of work. Why not use some of that free time to do some real productive reunion planning? 1. It's a great time to invite your extended family to dine together. 2. It's the ideal month for indoor and outdoor family recreational activities. 3. It's the the time of year to take a fun and meaningful stroll down memory lane. 4. It's an ideal time to dig thru the hope chest and read saved cards and letters. 5. It's a time to begin building your family tree. 8. Ideal time to plan a reunion cruise. 9. It's a good time to can and preserve harvest fruit and veggies... memories. 10. It's a wonderful time to talk about your family history. 11. It's the ideal time to exchange photos of recent family reunions. 12. It's a great time to start a family reunion website. 13. It's a good time to work on and distribute the family newsletter. 14. It's time to form a family reunion committee. 15. It's a good time to plan the next family reunion committee meeting. 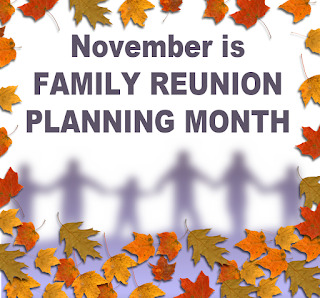 Start your family reunion planning today. Empower your family for tomorrow. 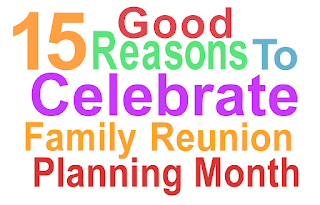 Happy family reunion planning month. What is family reunion planning month? Visit the resource that is dedicated to the cause. "Perhaps the greatest social service that can be rendered by anybody to this country and to mankind is to bring up a supportive family."